Portable Document Format (PDF) has grown to a stage where it is entirely acceptable as the primary document format for web, mobile, and E-mail transfers. It makes it easy to capture all the elements of a printed document as an electronic image that one can view, navigate, print, and/or forward to someone else. It was developed in the 90s by Adobe Systems and primary created by the use of Adobe’s Acrobat software and viewed with the Adobe reader app that’s available free on PC, Mac and mobile. Over the years, several alternatives for viewing and creating files in portable document format (PDF) have been developed by software developers with some promising more features than the popularly used Adobe Acrobat software. Today, we are going to take a look at the list of top 20 best software and apps that lets you convert PDF files to word document format. PDF editors with proven success rate for converting PDF to PowerPoint, pdf to Word, pdf to excel, pdf to OpenOffice, pdf to publisher, pdf to HTML, pdf to text, pdf to AutoCAD and pdf to images would be placed a-top while some free options for converting PDF to word would also earn a place in here. Whether you are a web developer, graphic designer, desktop publisher or just a regular computer user that wants to work extensively with PDF documents, the 20 apps below is going to make your works faster by removing restrictions, allowing basic edit rights and converting PDF to word, and to any other format of choice. PDF Converter Elite 4 is the unchallenged winner for us as long as PDF conversion and editing is the topic of discussion. From affordability, multiple file formats support to ease of use, unaltered font’s format after conversion and overall compatibility with all popular desktop apps, PDF converter elite 4 do the business of editing PDF documents with a touch of perfection. The newer versions of this awesome PDF editor comes with the award-winning OCR technology that lets you Extract text from images and scanned PDF documents to fully editable Word and Excel document format. Custom PDF document creation: Lets you create protected PDF documents with comments, tables, and images. Batch Conversion to Multiple file formats: Lets you convert lots of files at a single click, thereby saving you a great deal of time and increasing productivity. Secure Document Management: It lets you protect your PDFs and manage your document’s privacy, terms and usage rights. Advanced OCR Technology: Lets you Extract text from images and scan PDF documents to a fully editable Word and/or Excel document format. Minimum system requirement: It is a light-weighted app and works fine on machines running on Microsoft Windows XP or newer operating systems. Honestly, this PDF to Word converter app is a steal for $99.95 considering the features, functions, and ease of use. Their Official website is seated at pdfconverter.com. Investintech‘s able2extract 10 is the second in our list, we tested it extensively with different PDF documents of various sizes and was really impressed with the result we got with the conversion ability. Most of the tools in our system failed to convert drawings and technical structures in PDF to .dwg AutoCAD readable format without issues, but able2extract 10 and converter elite 4 handled this correctly and with highly professional output. Able2extract 10 is highly affordable and comes with some amazing features and capabilities. Some of the striking features of able2extract 10 PDF solution includes;- selective conversion, PDF to CSV conversion and lots of others. Free for basic users: 85% of this software features and functionality can be used freely by home users via the online platform that lets you convert PDF to word or any other format. To get access to these free tools, you’ll need to visit this link and select the right app or features. Multiple-Platform Support: Able2extract 10 PDF to word converter can be installed on Windows, Linux Fedora, MacOS, Ubuntu and mobile devices. The web version can also be used for all internet-enabled devices. Mobile, Web and Cloud conversion support: There is a mobile app for phone and tablets that lets you convert PDF to word and/or to any of the supported file formats. The web/online conversion tool lets you convert PDFs from feature phones and any other device that has access to the internet. Advanced PDF OCR Conversion tools: Able2extract 10 ward-winning optical character recognition (OCR) tools lets you convert scanned PDFs to fully editable MS Word documents. It uses advanced Optical Character Recognition (OCR) technology to convert both scanned and native PDF documents into editable .docx files, allowing you to re-purpose those old reports that have sat around your desk. Split, Merge and Batch PDF conversion support: The batch conversion tool lets you Convert multiple PDFs at once, edit a selected area, split large PDFs and merge similar PDF documents. Awesome tools for Editing/Creating PDF files: Able2Extract 10 lets you create new PDF documents, edit old PDF files, remove restriction and instantly convert pdf to word or to any of the other supported 12 file formats. 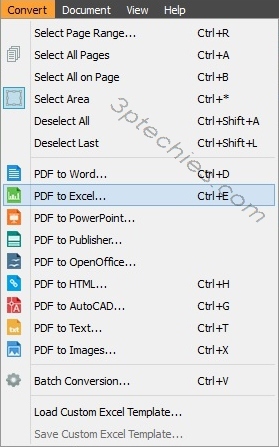 Wondershare PDFelement is a decent enough PDF editor that lets you convert PDF to word, excel, RTF, EPUB, HTML, power point, and other file formats. It lets you create professional and well-protected PDF documents with forms, comments, images, password and valid signatures. It has support for optical character recognition (OCR) technology and works seamlessly with all Windows version later than XP. The basic version of the app is valued at $69.95 while the functional version with OCR plugin is sold for $89.95. We have reviewed the app in the past, you can read all of it from our Wondershare PDFelement software review page. Adobe Acrobat Pro Document Cloud (DC), the latest version of Acrobat PDF editing software lets you create professional PDFs with premium features such as; form embed, cloud creation, and storage of PDFs, Dropbox cloud storage app support and lots more. With Adobe Acrobat DC, you can convert PDF to word, edit scanned PDF documents, Add audio and video files to PDFs, Send PDF documents for signature and E-sign any PDF file. There is a desktop app for MacOS and Windows and also a mobile app for phone and tablet devices. The cloud service can be assessed from any internet-enabled device and lets you sync your work across all platform. Adobe Acrobat PDF editor is available free for 30 days after which you can choose to subscribe for monthly/yearly payment circle. The full stand-alone app is sold for $299 (Standard version) and $449 for the pro version. You can download the trial version of the software from their official webpage here. Solid PDF Tools from Solid Documents Limited is a rock-solid PDF creator software that lets you edit PDF files on the go. It comes with useful tools such as: pdf to word converter, word to pdf converter, image to PDF converter and lots more. We used the latest version of the app and can tell its really an efficient PDF converter as it converts PDF to word in a few minutes. It has support for OCR technology that lets you scan documents into searchable and editable digital copies. Download the desktop app from their download page here. Install the software and launch from the Solid icon on your active desktop. Activate the software with the License code or skip registration to activate the 15 days trial version. Add a PDF document from your computer directory using the “file menu”. Convert to word or any format of choice using the tools provided. Pricing: The standard version of the software (solid converter) goes for $99.95 while the complete package (Solid PDF tools) is valued at $149.95. Their official webpage is seated at soliddocuments.com (For windows downloads) and mac-pdf-converter.com for MacOS downloads. Foxit PDF toolkit is a top-notched PDF creator with superior functions and capabilities. It is a superb PDF writer with good Android and iOS applications. It lets you convert pdf to excel, edit pdf files and get access to the online pdf to word converter plugin that makes it possible to integrate PDF viewing capabilities in web browsers and internet apps. Foxit Software Incorporated is not just a software vendor but an industry leader in making PDF editors that works flawlessly on all platform known to man. Their state of the art PDF Development Kits such as Foxit WebPDF SDK makes it easy for developers to integrate PDF viewing and editing capabilities to web and mobile apps. Foxit PDF Toolkit desktop app is perfect for converting PDF to word, MS excel, Microsoft PowerPoint and other popular file formats. And their mobile apps works like a breeze as it lets you convert PDF to word on mobile; redact MS word documents for easy publication, view PDF on Android, annotate PDF documents and work effectively on PDF documents. Qoppa PDF studio 11 PDF creation software works flawlessly on Windows, Mac OS X, and Linux operating systems (OS) for creating professional PDF files with comments, highlights and valid signature. It is a premium PDF editing software with a lot of tools and functions. Makes it easy to convert PDF to excel, HTML and rich text format. Files created with PDF studio 11 normally comes with high level of compatibility as their software meets all industry-standard for creating professional PDF files. It is a kind of PDF editor you are going to fall in love with in a few minutes as the user-interface is friendly, intuitive and non-obtrusive. PDF studio 11 does come in two versions with each having a unique feature that separates it from the other. The feature for each of the versions as lifted from their official website goes as follows. PDF/A Validation / Conversion plus all the Features of PDF Studio Standard 11. Pricing: PDF studio standard is valued at $89 while the pro version is sold for $129. I used this awesome PDF editor back in the days and can tell it was really user-friendly and makes the creation of professional PDF documents easy and seamless. Nitro is an industry leader in PDF tools and lets you create and/or edit PDFs via the desktop app and its cloud platform. PDF documents created with Nitro Pro software or Nitro Pro+ cloud can be accessed from any of the popular cloud storage services such as Dropbox, Google drive and the rest of them. Nitro Software’s online free PDF to word converter is created with home users in mind as it lets you Create, merge, edit, sign, review and protect PDF documents for free. It is a good enough free tool to convert PDF to word without installing an app or software. 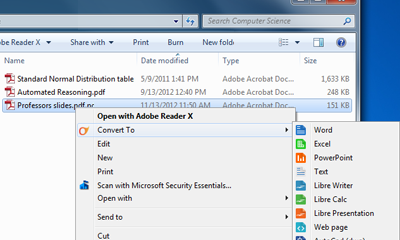 You can also convert PDF to excel and MS PowerPoint. The free pdf to word converter online tool can be accessed from their official web page here. Pricing: Nitro Pro+ is a subscription based service that’s valued at $7.99 per month while Nitro Pro PDF editing software is sold for $159.99. PDF-Xchange Editor is light-weighted, feature-rich PDF editor that lets one Create, View, Edit, Annotate, OCR and Digitally Sign PDF document and files. I first used this app about a year ago when I visited a course-mate, it was the only PDF to word converter installed on his PC. The result of our conversion was pretty awesome and without any distorted text formatting and/or altered fonts. It is a superb PDF creator as it lets one edit PDF documents, create and convert PDF to word and other file formats. The standard version of the software is valued at $43.50 while the plus version is sold for $54.50. The only drawback with their pricing model is the lack of money back guarantee and the inability to offer a refund to dissatisfied users. It will be some how unusual to have as much as top 10 list in a niche as broad as PDF to word converters without having a completely free option. UniPDF free PDF converter app offers some brilliant tools to help you convert pdf to word, text, html and image. It is completely free and comes with no ads. Commercial users of the software are asked to pay a meager commitment of $29.97 and usually have no known advantage over the basic users of the app. Supports converting from PDF to Word (*.rtf/*.doc). Supports converting from PDF to Image (*.jpg/ *.png/ *.bmp/ *.tif/ *.gif/ *.pcx/ *.tga). Supports converting from PDF to Text (*.txt). Supports converting from PDF to HTML (*.html). Supports converting many PDF files at once using the batch mode. Supports converting selected page range (for Word and Images). Supports setting for image resolution and color bits (for Image). Has support for many languages other than English. Cometdocs mobile app that lets one convert PDF to excel was introduced to us some months back and that has exposed us to some of the best PDF editing tools provided by cometdocs.com. Cometdocs PDF editing services is free for basic users and involve creating and maintaining an account with cometdocs.com. Free users are limited to a total online storage space of 2GB while users with a subscription can enjoy as much as 10GB and single file upload limit of 1GB. Lifetime subscription for premium users is valued at $129.95 while the monthly subscription is billed at $9.99. Free users and paid subscribers alike can install the desktop app and work with many PDF files at once. Their official website is seated at cometdocs.com. CutePDF is a user-friendly PDF creator that enables one get advanced control over PDF document output. It lets you add comments, security, stamps, headers and footers, create interactive form fields, create booklets or n-Up pages, combine files, rearrange pages and edit PDF files like a pro. It works well with all Windows version and it’s valued at $49.95. Their official website is seated at http://www.cutepdf.com. iSkysoft PDF Converter software is a premium PDF editor that lets you convert PDF to word and/or other file formats. iSkysoft PDF creator software enables one to add, delete, extract, replace or crop images on PDF documents. You can also insert, delete, rotate, crop, replace, rearrange or organize PDF pages with ease as well as split a PDF file into separate pages or combine multiple PDF files into one single file using their desktop app. iSkysoft PDF Converter app is available for Windows and MacOS X. The Mac version is $99.95 while the Windows version is billed $69.95. Their official homepage is seated at https://www.iskysoft.com. PDFMate PDF Converter software comes with both free and premium versions, while the free version is limited by features, the Pro version lets you have access to every feature you will need in a professional PDF editor. The windows version is valued at $39.95 while the Mac OS version is sold for $29.99. Their official website is found at http://www.pdfmate.com. Lighten PDF Converter Master is the main PDF editing tool from Lighten Software Limited that lets you convert PDF to word and/or other popular file formats. It is a simple-to-use, cost-effective, professional and high success rate PDF editing software that makes it easy to create, convert, edit, and secure PDFs with higher efficiency, flexibility and accuracy. It is a recommended productivity app for home, business and academic environment. The Mac OS version of the software is sold for $29.99 while the Windows version is valued at $49.99. It comes with a free PDF viewer and can be downloaded from their official website at http://www.lightenpdf.com. PDFonline all PDF converter is a powerful PDF editing tool that lets you create PDF versions of your cover letter, an Excel quote, your PowerPoint presentation or your illustration. It is easy to use and supports all windows version. The software is valued at $49 and can be downloaded from here. PDFescape is an online free pdf to word converter web app that lets you convert PDF to word and/or other file formats. It increases productivity by saving you the time to download, install and/or learn to use a PDF editing software. It is one of our favorite online free PDF editor. The other two are OCR convert (link here) and File Convert (link here). The PDFescape online free PDF editor is compatible with all modern internet browsers, support fill-able forms and can be accessed from pdfescape.com. PDF Architect 4 is a user-friendly Windows software that lets you view PDFs, create PDF documents, convert PDF to word, excel, html and other known file formats. It is suitable for home use, office use, for schools, businesses and non-profit organizations. It is a software we’ve grown to like as the free version lets you Merge PDFs, delete pages, Create PDF from Word, Excel, PowerPoint and other file formats. The standard version of PDF architect 4 is sold for $59 while the Pro and Pro+OCR version of this lovely PDF editor that lets one convert pdf to word, sign and edit PDF documents is sold for $89 and $119 respectively. You can read up all of its features and extended functions from their official page at pdfforge.org. Nuance power PDF editing software is a powerful PDF creator that lets one create, convert, split, combine, edit and securely share PDF documents, right out of the box. Search and black-out (redact) or replace text in PDF files. The MacOS version is sold for $99.99 while the Windows standard and Windows power PDF advanced version is sold for $99.99 and $149.99 respectively. Their official website is seated at http://www.nuance.com. The number twenty spot was a battle between the lovely PDF to word editing tool at weenysoft.com (Free PDF to Word Converter) and Convert PDF to Word Desktop app by convertpdftoword.net. Both of them are Windows PDF editing tool and works flawlessly for converting PDFs to Word, excel and other file formats. They’ve got some good hook to let you easily and quickly convert all your PDF files into Microsoft Word document (.Doc) or Rtf (.rtf) format, maintaining the same quality of the original PDF document, with text and all images. While the PDF creation tool at weenysoft.com comes free, the premium version of convertpdftoword.net app goes for $29.95. You have seen our painstakingly created list of top 20 PDF editors that lets one create professional PDF files, convert pdf to word, excel, MS PowerPoint, HTML and other file formats. The list was ranked from our vast database of file editing apps, years of experience on PC maintenance and assiduous contribution from our amiable contributors and the editorial team of 3rd Planet Techies. We will like you to share your experiences with us via the comment section, tell us about the PDF editing apps you’ve used in the past, your experiences with the ones in our top 20 list and any other thing you think we/others should know about PDF editing and converting PDF to word. For mac, I got one more to recommend, the Cisdem PDF to Word Converter, it impressed me with its high quality conversion(keeping original formatting, no text is missing, image quality preserved).